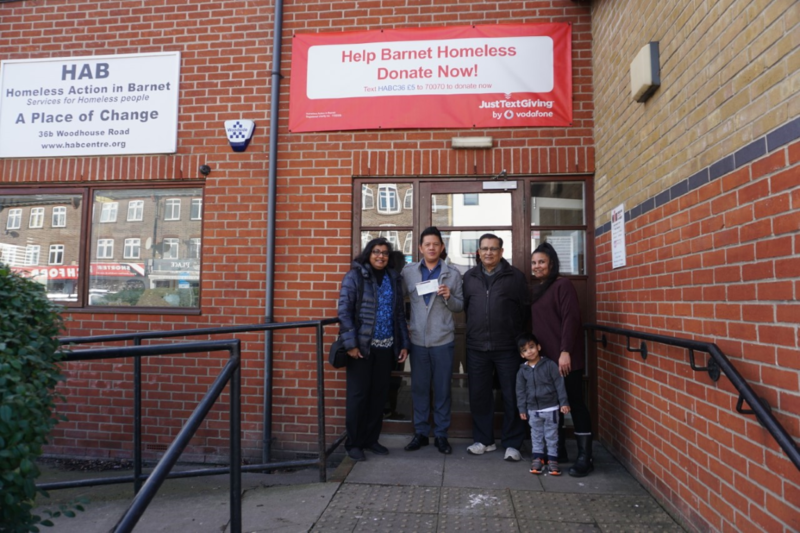 Jiv Daya Donation – February 2019 | Oshwal Association of the U.K.
On Thursday 7th February, three members of the North Area committee presented a cheque for £540.02 to Homeless Action in Barnet (HAB). This was collected during Paryushan for Jiv Daya. We informed Mr Jenro of HAB that this was from the Oshwal Community of North London and he thanked us all for this generous donation. Homeless Action does wonderful work in supporting the homeless in our local area by providing essential meals, clothing, liaising with the council and giving advice. They are based in 36b Woodhouse Road, North Finchley and accept donations of non-perishable foods and clothing for adults and children.